Spurs have drawn all three of their games in Group J, and are in third place behind Lazio and Maribor. 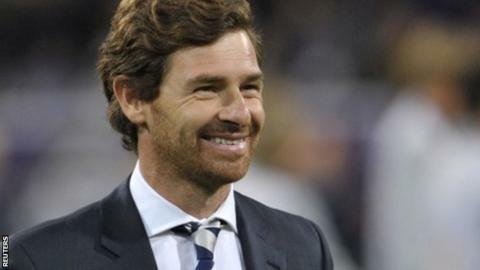 Villas-Boas said: "The group is completely open. What we face now is two games at home and I think we are in a good position in the group. "You see the group - it is very tight." Spurs fell behind during a poor first-half showing when Robert Beric stabbed home to put the Slovenian side in front. Iago Falque was sent on at the break by Villas-Boas for a rare appearance and helped create the equaliser for Gylfi Sigurdsson as Tottenham improved. Villas-Boas added: "We came back into the game, which is pleasant to see again and it is good for us to bounce back. "It is obviously not the full result we wanted, bearing in mind the draw between Lazio and Panathinaikos, but certainly we will take a point. "We are in third position. We have three games to play and there are nine points to play for. "It is not a group where the leader has run off with points." Maribor also retain a realistic chance of qualifying and manager Darko Milanic was delighted with the point. "We are very proud of what we achieved tonight," he said. "Our opponents didn't have many chances, but they had the initiative. "We should have stopped the goal, but I'm very happy for my team. It's an important point that keeps us alive to advance to the next stage."